The mission of the Berkeley-Haas Entrepreneurship Program is to integrate entrepreneurial thinking into the Haas student experience and to assist Haas and UC Berkeley students in launching new ventures. The program gives students multidisciplinary experiential learning opportunities, seed funding for selected startups, and connections to the greater UC Berkeley and Bay Area entrepreneurial ecosystems. integrating entrepreneurial thinking into corporate environments. On the curricular side, Haas’ experienced faculty provide the theoretical framework, empirical evidence, and experiential opportunities to the diverse student body participating in the Bay Area’s innovation ecosystem. On the co-curricular side, the Program integrates and extends entrepreneurship services provided by Berkeley-Haas. 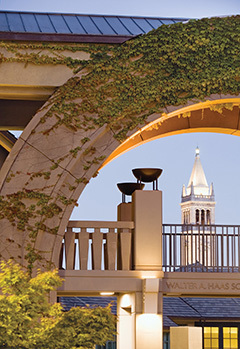 Specifically, the Berkeley-Haas Entrepreneurship Program brings its deep programmatic experience, extensive alumni network, and connections to the Berkeley campus to mentor hours, competitions, accelerators and multidisciplinary events; the Dean’s Startup Seed Fund provides seed funding for select student startups; and Berkeley-Haas offices connect students to careers in startups and innovative companies. Rhonda is Executive Director of the Berkeley-Haas Entrepreneurship Program as well as the National Science Foundation’s I-Corps program for the Bay Area Node. She has founded or was an early stage team member of start-ups in biotech, behavioral health, retail, non-profit and AI. 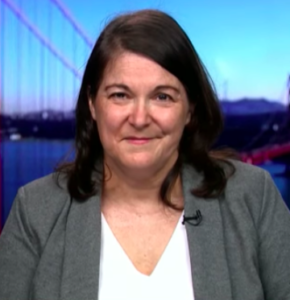 She served as a long-time mentor for UCSF’s Idea to IPO course, is an active advisor for NASA spinoff BrainAid, and recently lead the winning teams for both the Health Tech Forum Codeathon and the San Francisco MedHack 2.0 Hackathon. She graduated from Harvard with a degree in neuropsychology and holds an MBA in strategy and operations from Berkeley-Haas. Adeeba Fazil is the Program Manager at the Berkeley-Haas Entrepreneurship Program. In this capacity, she manages the mentoring program, Venture Capital Investment Competition (VCIC), the LAUNCH startup accelerator, and much more. Adeeba holds a B.A. in Psychology with a Minor in Chemistry from CSU, East Bay. She is active in her community and volunteers during her spare time in underserved communities across the Bay Area.